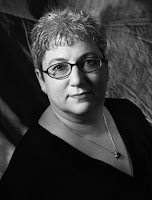 Today we have guest blogger, Jeri Westerson. Welcome back, Jeri! In a medieval mystery, forensic science was few and far between. It takes clues and a detective who is wily enough to understand them. Without a police force, without the help of scientific procedure, a detective was left with what he could observe. In murder, it still might be important to derive at a time of death. Though they didn’t have the tools we have today, there were still some obvious clues, especially to someone like Crispin Guest, my ex-knight turned detective, who had been a fighting man and had his fair share of observing bodies after a battle. Rigor mortis—literally, “death stiffness,” happens very methodically—from the face downward about 2 hours after death. It takes another 8-12 hours for the body to become completely stiff and fixed into position. Fixed for another 18 hours is called the Rigid State. Then it reverses in the same order it appeared for another 12 hours—(Flaccid state). What is rigor? When the blood stops flowing from the heart, the natural bacteria in the body can no longer be fought off and they go to town, creating chemical reactions that prevent the muscles from contracting, which makes the body stiff. Heat quickens the process and cold slows it. Livor mortis or lividity or post mortem hypostasis (literally “after death state”) is the state of being blue, or colored blue. What is this? Blood stops flowing and pools in the vessels in the lowest point due to gravity. Wherever the body is in contact with, say, a floor, the skin becomes pale ringed by lividity. It shows up 30 minutes to a couple of hours and stays fixed after 8 hours. The detective would know if a body had been moved if lividity had set in on the wrong part of the body. Fingerprints? This was the science of the 19th century, 500 years after Crispin’s time. In Nova Scotia, there are cave drawings of a hand with all the ridges and lines associated with palm creases and fingerprints, a drawing 1200 years old. In ancient Babylon, thumb impressions in clay were used for business transactions. In China, thumbprints were used on clay seals for the same purpose. In fourteenth century Persia, some official documents show finger impressions, and a physician of the time was recorded to observe that no two fingerprints were alike. It wasn’t until 1892 in Argentina, that a murder was solved by the use of a bloody fingerprint and matching them to the murderer. The idea was finally taking hold that fingerprints were individual. But since there was no medieval fingerprinting, that wouldn’t help my detective at all. How about the use of insects to solve crimes—forensic etymology? We have an example in at least one celebrated instance. The earliest account of someone using insects to solve a murder comes from thirteenth century China in the Hsi Duan Yu or The Washing Away of Wrongs, a collection of anecdotes and observations on death and decomposition. Here’s the account in a nutshell: A local peasant in a Chinese village was found murdered, hacked to death by a hand sickle, something used to harvest grain. The local magistrate suspected that he was done in by another farmer. He called all the farmers together in the town square and had them present their sickles, laying them on the ground in the hot sun. As they waited anxiously for the magistrate to continue, blow flies started to gather. Strangely, they only seemed to land on one of the sickles. Even though the sickle was cleaned, the flies were attracted to the remaining blood and soft tissue evident only to them on the metal blade. Very clever and very effective. The man who owned the sickle then confessed and was hauled away for murder. What about blood samples? Blood wasn't “typed” until 1901. But observing the blood—whether it runs and how it splatters—might offer my medieval detective clues. Poisons were readily available in the medieval period and the information on them—the symptoms and possible treatments—were so detailed and accurate that they differ little from the litany of toxicology today. Poisons were used to kill (including the use of insecticides, even then) and to use as curatives. Think Botox. A little helps. A lot kills. Petri de Abano wrote De Remedis Venenorum in the 1300's and listed the following as poisons (whether they were or not—folk tales went a long way in those days and some in these days, too): mercury, gypsum, copper, iron, rust, magnetite, lapis lazuli, arsenic sublimate, litharge or lead, realgar (a type of arsenic), cucumber (I suppose you could choke them with it), usnea (a lichen), coriander, hellebore, mezereon (a woodland shrub), fool's parsley (water cress), bryony (a vine), nux vomica (seeds from a tree that contain strychnine), colocynth (bitter apple, a gourd), laurel berries, cicuta or hemlock, serpentary also called snake-root, cantharides or Spanish fly, and menstrual blood (I suppose getting it would be the dangerous part). In the end, it’s really up to the cleverness of the detective to ferret out whodunit. Even given all the forensic help in the world, I don’t think there’s anything more satisfying then having one’s detective know in his gut who the guilty party is. For further reading, may I suggest Clues! A History of Forensic Detection by Colin Wilson, The Science of Sherlock Holmes by E.J. Wagner, and Forensics for Dummies by D.P. Lyle. To read more on medieval forensics, please follow my blog tour, the schedule of which can be found on my website www.JeriWesterson.com. SERPENT IN THE THORNS, the newest Crispin Guest Medieval Noir, will be in bookstores September 29th. Welcome back, Jeri! This is fascinating--especially about the fingerprints. I had no idea fingerprints were used for ID so long ago. So much for "modern" science! The Greeks and Egyptians could be fairly certain their death timeline would work consistently because they have fairly consistent temperatures. That wouldn't have been quite as reliable in other climes. I love all this stuff, thank you! You know the funny thing about that, Jennie? I can look at dead stuff. It's live surguries that get me. Maybe it's the idea that live things can feel pain and the dead cannot.